There are a million reasons to move to Brooklyn Heights: it’s one of the most coveted locations in Brooklyn; its quiet tree-lined streets are enhanced by scenic landscapes and beautiful architecture; and most importantly, it was the setting for the Cosby Show–although it turns out the façade of the Huxtable’s brownstone was actually a residence in Greenwich Village. The horror! 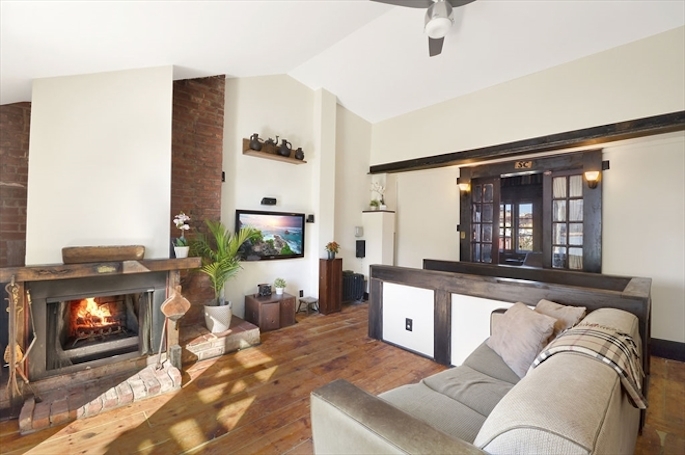 Well, now there’s another reason to head over to Brooklyn Heights, and it’s this beautiful co-op at 76 State Street, asking $995,000. This two-bedroom apartment makes its mark by managing to seamlessly bring a little country living to the upscale urban backdrop. What more could you ask for? 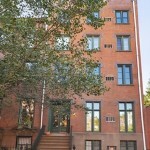 Enter through a private vestibule with a flight of stairs leading up to the living room. Now, that’s an entrance if we’ve ever heard of one. 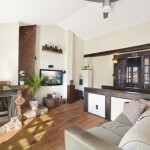 The living room has vaulted ceilings, a wood-burning fireplace, and exposed brick paneling on the walls. 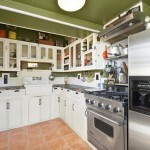 Off this room, a cute kitchen has stainless steel appliances, tile floors and custom cabinetry. (Look closely to see the old-school phone.) 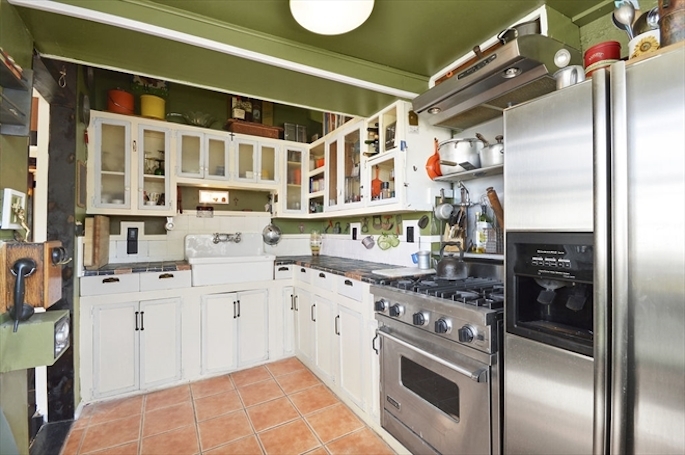 Green ceilings and walls with white trim, add to the kitchen’s old country charm. The apartment’s two bedrooms are flooded with light, thanks to south-facing windows. 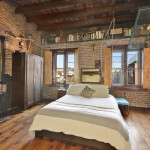 The rustic master is substantial in size, and features 12-foot ceilings with exposed beams, and exposed brick walls. 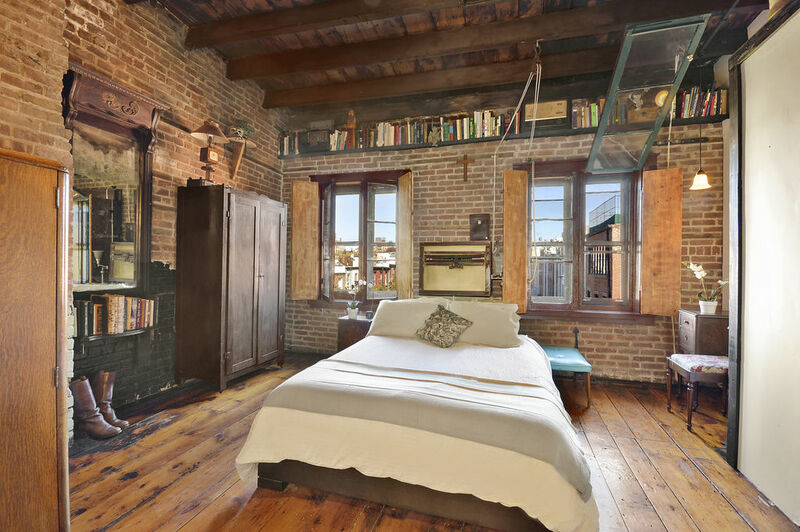 A smaller second bedroom boasts a custom-made “Harry Potter” door (unfortunately not shown). 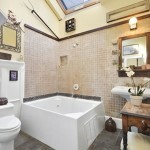 The bathroom also benefits from natural light with a skylight right over the soaking tub. 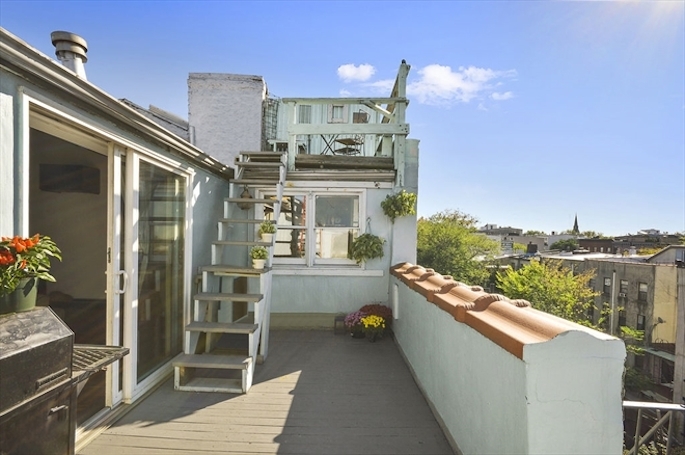 This apartment really outdoes itself with its outdoor space because it has–not one–but two decks: an upper deck and a lower deck. 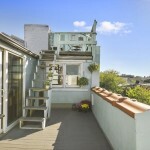 From these vantage points, buyers can enjoy partial river, and skyline views.